Bollywood has become one of the biggest industries in India. Bollywood is an informal term referred to Hindi-Language Film Industry or Hindi Cinema. It is one of the largest film producers in the world and is biggest in India. Bollywood is based in Mumbai often called as ‘the city of dreams’. The first feature film produced in India was ‘Raja Harish Chandra’ released in the year 1913. It was a silent black-and-white film directed by Dadsaheb Phalke. 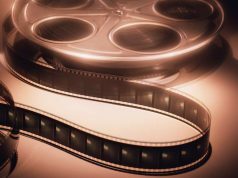 Since then, Bollywood has grown tremendously, not only in terms of the number of movies produced in a year but in terms of technology, budget and net earnings. Today, bollywood is an industry which produces many big budget movies. Some of these movies have seen a huge success at the box office, meaning that they have earned well. Few of them have been able to make it to Bollywood’s 100 crore club. The earnings below represent net earnings after excluding entertainment tax. Singham made a total of INR 100 crore (US$19.95 million) and reached the 100 Cr. mark within 37 days of the release date. Singham is an action film directed by Rohit Shetty and produced by Reliance Entertainment. The cast include Ajay Devgan, Kajal Aggarwal and Prakash Raj in lead roles. The film released on 22 July 2011. 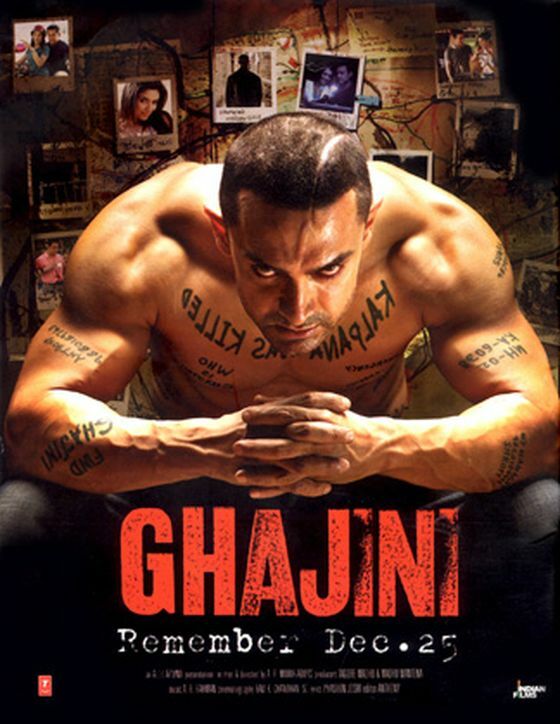 Ghajini made a total of INR 115 crore (US$22.94 million) and reached the 100 Cr. mark within 18 days of the release date. Ghajini is an psychological thriller film directed by A. R. Murugadoss and produced by Tagore Madhu and Madhu Mantena. The cast include Aamir Khan, Asin, Jiah Khan and Pradeep Rawat in lead roles in lead roles. The film released on 25 December 2008 . Golmaal 3 made a total of INR 108 crore (US$21.55 million) and reached the 100 Cr. mark within 17 days of the release date. Golmaal 3 is an Indian comedy film directed by Rohit Shetty and produced by Dhillin Mehta. The cast include Ajay Devgn, Kareena Kapoor, Arshad Warsi, Tusshar Kapoor and Shreyas Talpade in lead roles. The film released on 5 November 2010. Housefull 2 made a total of INR 113 crore (US$22.54 million) and reached the 100 Cr. mark within 17 days of the release date. Housefull 2 is an Indian comedy film directed by Sajid Khan and produced by Sajid Nadiadwala. The cast include Akshay Kumar, Asin Thottumkal, Jacqueline Fernandez, John Abraham in lead roles. The film released on April 5, 2012. Don 2 made a total of INR 110 crore (US$21.95 million) and reached the 100 Cr. mark within 16 days of the release date. Don 2 is an Indian action crime film directed by Farhan Akhtar and produced by Ritesh Sidhwani, Shahrukh Khan & Farhan Akhtar. The cast include Shahrukh Khan, Priyanka Chopra, Lara Dutta, Om Puri, Boman Irani and Kunal Kapoor in lead roles. The film released on 23 December 2011. Ready made a total of INR 121 crore (US$24.14 million) and reached the 100 Cr. Mark within 14 days of the release date. Ready is an Indian romantic comedy film directed by Anees Bazmee and produced by Rajat Rawail, Bhushan Kumar, Nitin Manmohan, Kishan Kumar and Sohail Khan. The cast include Salman Khan and Asin in lead roles. The film released on 3 June 2011. Rowdy Rathore made a total of INR 130.45 crore (US$26.02 million) and reached the 100 Cr. mark within 11 days of the release date. 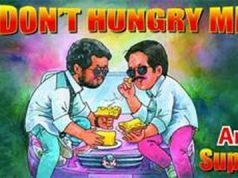 Rowdy Rathore is an Indian action film directed by Prabhu Deva and produced by Sanjay Leela Bhansali and Ronnie Screwvala. The cast include Akshay Kumar in double roles opposite Sonakshi Sinha in lead roles. The film released on 1 June 2012. Agneepath made a total of INR 120 crore (US$23.94 million) and reached the 100 Cr. mark within 11 days of the release date. Agneepath is an Indian action drama film directed by Karan Malhotra and produced by Hiroo Yash Johar and Karan Johar. The cast include Hrithik Roshan and Sanjay Dutt in lead roles. The film released on 26 January 2012 . Ra. One made a total of INR 115 crore (US$22.94 million) and reached the 100 Cr. mark within 11 days of the release date. Ra. 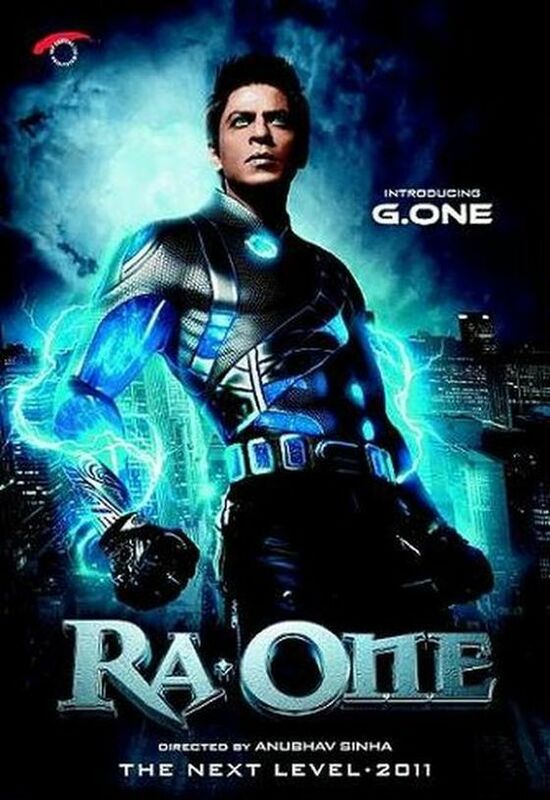 One is an Indian science fiction superhero film directed by Anubhav Sinha and produced by Gauri Khan. The cast include Shahrukh Khan, Kareena Kapoor, Arjun Rampal, Shahana Goswami and Tom Wu in lead roles. The film released on 26 October, 2011 . 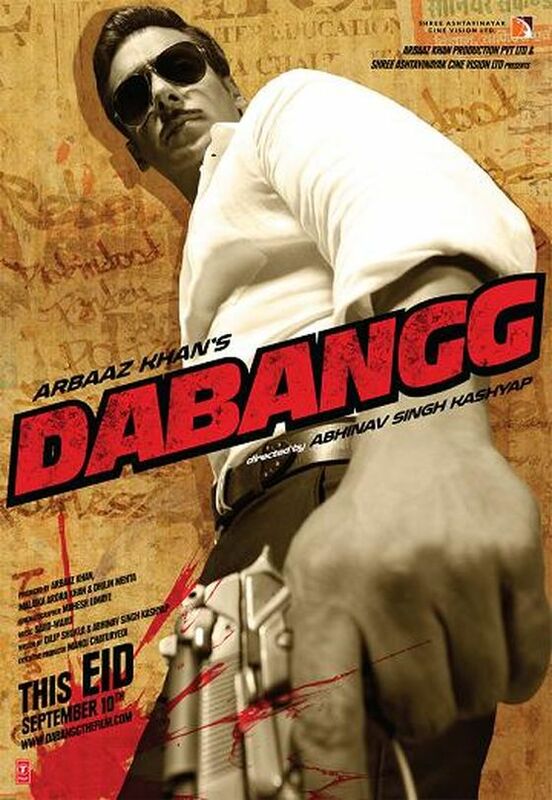 Dabangg made a total of INR 140 crore (US$27.93 million) and reached 100 Cr. mark within 10 days of the release date. Dabangg is an Indian action film directed by Abhinav Singh Kashyap and produced by Arbaaz Khan, Malaika Arora Khan and Dhillin Mehta. The cast include Salman Khan and Sonakshi Sinha in lead roles. The film released on 10 September 2010 . 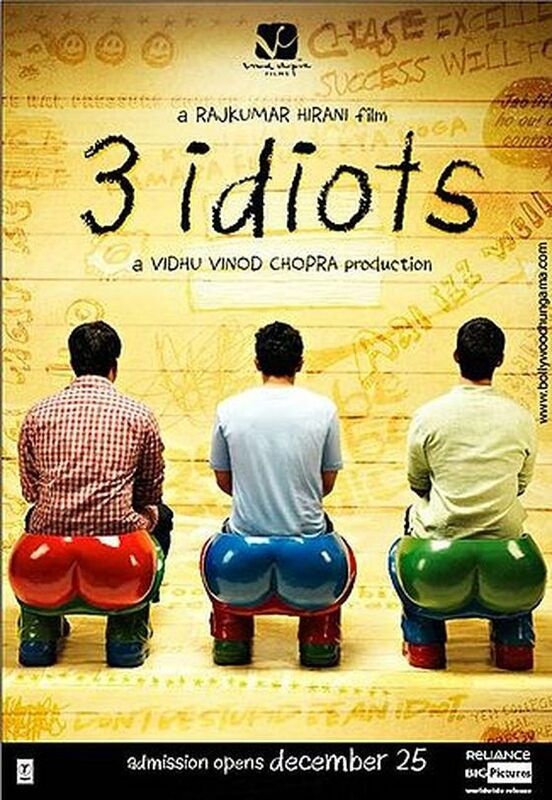 3 Idiots made a total of INR 202 crore (US$40.3 million) and reached the 100 Cr. mark within 9 days of the release date. 3 Idiots is an Indian comedy film directed by Rajkumar Hirani and produced by Vidhu Vinod Chopra. The cast include Aamir Khan, Kareena Kapoor, R. Madhavan, Sharman Joshi, Omi Vaidya and Boman Irani in lead roles. The film released on 25 December 2009. Bodyguard made a total of INR 141 crore (US$28.13 million)and reached the 100 Cr. mark within 7 days of the release date. Bodyguard is an Indian romantic action film directed by Siddique and produced by Atul Agnihotri, Alvira Agnihotri and Reliance Entertainment. The cast include Salman Khan and Kareena Kapoor in lead roles. The film released on 31st August, 2011.